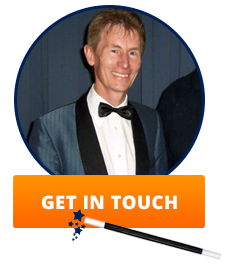 Wedding are always a happy, joyous occasion and while the photographs are being taken, there is the perfect opportunity to have a Strolling Close-up magician mingle and interact with the guests. While they are standing around or sitting in groups, Trevor will spend 10 or so minutes per group, entertaining them with magic that happens literally under their noses and even in their own hands. 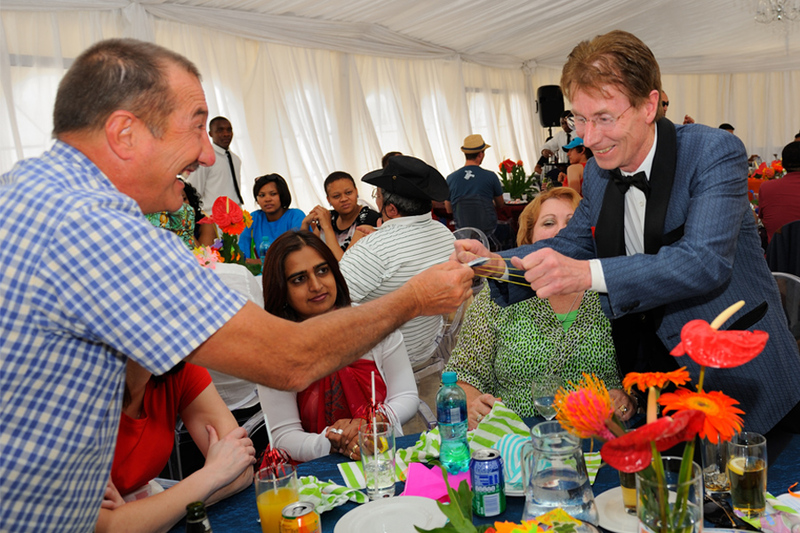 His style of Close-up magic and clean-cut comedy will leave your guests with a lot to talk about! Soon everyone will be laughing and having even more fun! They won’t even notice the time going by.…..leaving you and the family to relax and enjoy the photographic session. No introduction or special arrangements will be necessary. My job is to look after your guests and keep them entertained. They will talk about your wedding for years to come! This is what some say…. Trevor suddenly appeared at our group and all kinds of unexpected things happened. Wow, it was such fun! A man and his wife’s individually signed cards transform into one card! Imagine a handful of plain white papers changing into genuine R100.00 bank notes simply with the flick of the wrist and in the blink of an eye – literally! Imagine a lady’s finger ring instantly vanishing and just as quickly, materializing amidst the flicker of a flame! What if I wave my hand over your sleeve and smoke appears amidst the gasp and laughter of your guests?! 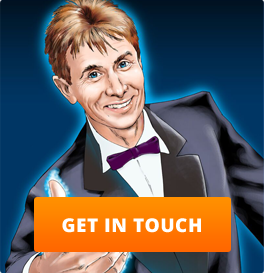 When Trevor performs magic for entertainment it is not just about ‘tricks’, but rather it is about connecting with people – touching people’s lives. Trevor dresses impeccably, speaks well and treats every guest as a special and important person. He is respectful when approaching a group of people, knowing that there are at times, those who are engaged in deep and important conversation and may need a little space. 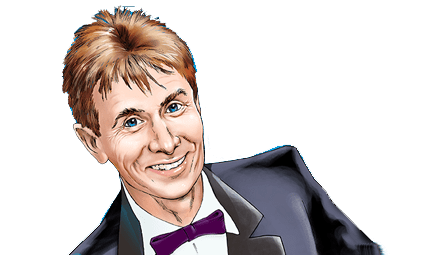 He loves what he does so when performing at an important family event such as a wedding, home party, anniversary or social, he makes every moment count, for a wonderful, memorable time. The memory that is left behind, is about how special your wedding was and like seeing an awesome movie, your guests will keep reliving in their minds, the magic that happened right in their own hands and literally under their noses.